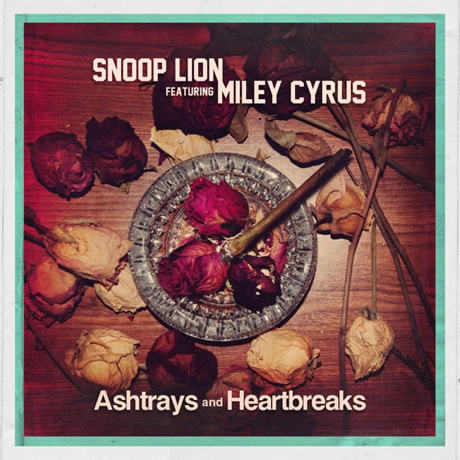 Reggae rap star Snoop Lion has shared the latest single from Reincarnated, and it's sure to be the most divisive yet as it's a collaboration with none other than Miley Cyrus. Snoop and Hannah Montana team up on the album's slickest composition yet, but it's far from bad. Instead, it's a catchy, high-budget pop song with plenty of Major Lazer and Snoop Lion to ease you into allowing Miley into your life. Check out "Ashtrays and Heartbreaks" below. Reincarnated arrives April 23 via Vice/RCA Records.